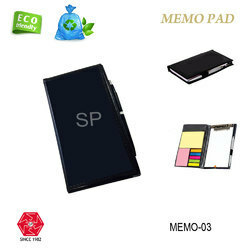 We are a leading Manufacturer of memo note pad-memo-01, memo note pad-memo-02, memo note pad-memo-03, memo note pad-memo-05, memo note pad-memo-06 and memo note pad-memo-07 from Mumbai, India. 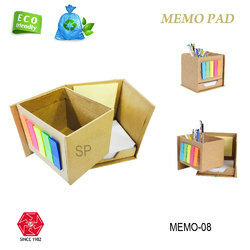 It's foldable, it's environment friendly and it de-clutters your desk! it's environment friendly and it de-clutters your desk! 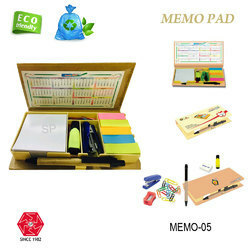 Eco Stationary Set with Memo Pads. 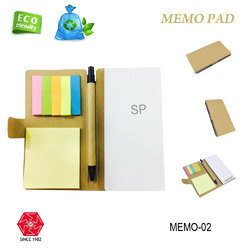 Complete Stationary Set For Table with Writing Pad Sticky Memo Pad and Memo Strip. Sticky Notes & Index Tabs in Premium Case. Self-Sticking Notes and Tabs stay stuck to most surfaces. Bright Neon Colors makes the notes easy to notice. 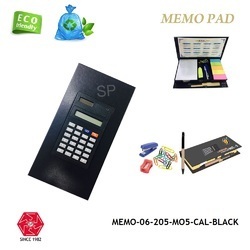 Sticky Notepad's Cover lid has in-built calculator with cells included.